Happy Friday everyone! 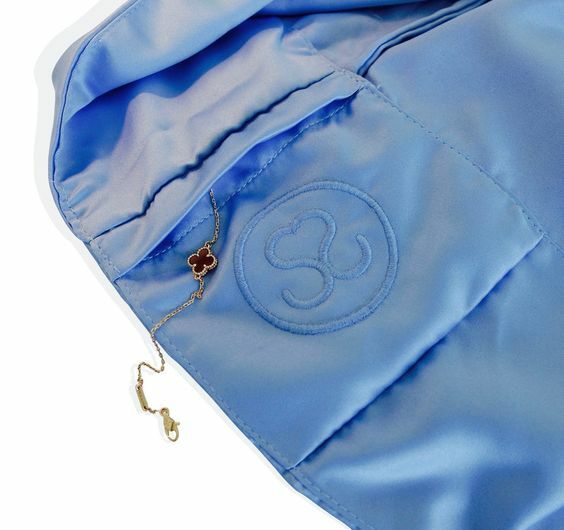 We are huge fans of Savvy Sleepers satin pillowcases here so we were delighted when founder Dale got in touch again and asked if we would like to review the new limited edition spring/summer colour, Serenity! We already have two of the other fabulous colours, White Russian and Nappuccino, which we spoke about previously here on the blog. This new addition, a fabulous shade of blue, is perfect to refresh summer bedding and of course, as always, so comfortable and lovely to sleep on. It comes in a standard and king size and there is also a travel size which is perfect for holidays! They also have the added bonus of an inner secret pocket for keeping your jewellery, nick naks, etc. safe while you sleep ….